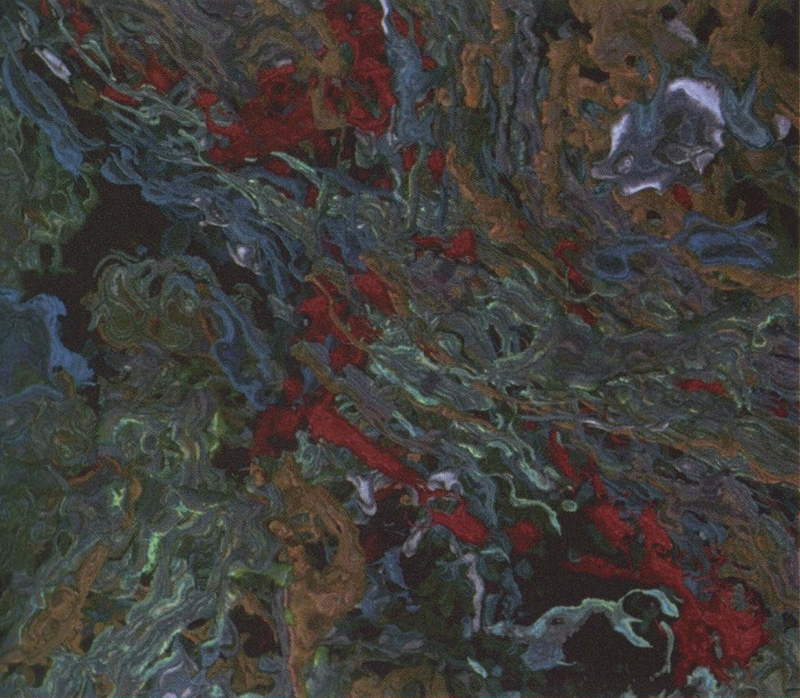 An abstract digital painting is modulated with volumetric noise functions and mapped to various parameters such as density, color, and texture. The painting is the seed for creation of complex 3D realities. The artist creates abstract worlds of sufficient complexity and realism that viewers perceive representational content where none exists, like seeing faces and objects in clouds. The process of experimentation; discovery; and choosing views, color, and value relationships is based on personal aesthetic, which has no conceptual basis. The image was created using Houdini 3D animation and Amazon paint software.